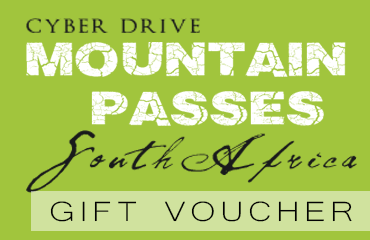 Purchase a 1 year gift subscription to the Mountain Passes of South Africa website for a friend or family member, to the value of R300. The full mountain pass story (non subscribers only see about 10% of the text), plus you get the video(s), Fact File, Interactive Map, Directions and the individual downloadable Route Files. Please fill out the gift-recipient’s details below. The gift voucher will be sent to the recipient on completion of your purchase. – and the individual downloadable Route Files.